Discover the web design trends, techniques, and tools that will define websites for years to come. As technology develops and trends change, it’s important that your website stays relevant, but keeping track of design changes in an industry that’s constantly innovating can be overwhelming. 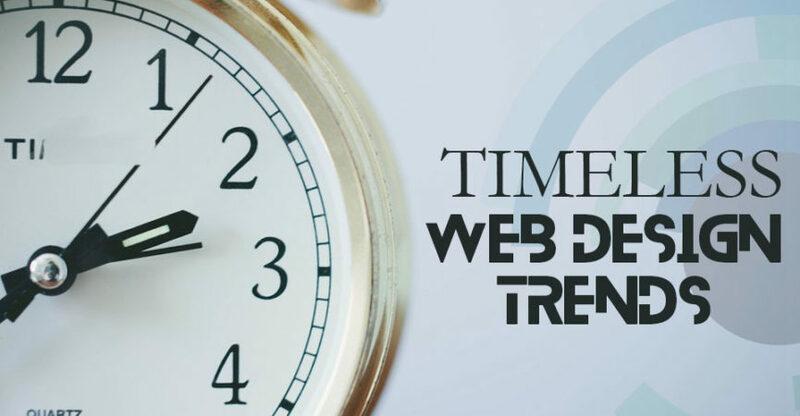 To help simplify the process, we’ve rounded up the top timeless web design trends. Here’s a list of the top 5 web design trends that won’t disappear anytime soon. Mobile browsing has now officially surpassed desktop browsing. Almost everyone these days searches, shops and orders on their smartphone. Simply put, a web design needs to be user-friendly on a smartphone. Websites not optimized for all these smaller screens can experience a decline in their search engine rankings. This means web designers are going to have to fully utilize mobile functionality in ways we’ve never seen before while desktops must continue to evolve to stay relevant. The number one benefit of a responsive web design layout is the guarantee that any user on any device will have the best experience possible. Website responsiveness is also a great way to refine the content on your site, making sure that those using a mobile device are only seeing the most essential information. While in the past many brands and designers were stuck with web-safe colours, more designers are becoming courageous in their approach to colour. While web designers use RGB (red, green, blue) to represent colours, they’re able to create a whopping 16.8 million colours to choose from. Web design trends now show a spike in supersaturation and vibrant shades combined with headers that are no longer just horizontal but reimagined with slashes and hard angles. The move towards eye-catching colours is partly helped by technological advances in monitors and devices with screens that are more suitable for reproducing richer colours. Vibrant and even clashing colours can be useful for newer brands hoping to instantly attract their visitors’ attention, but it is also perfect for brands who want to set themselves apart from ‘web-safe’ and the traditional. But be warned, an overabundance of colour on a webpage can make it look busier than usual and distract visitors. Not only will your site’s bounce rates suffer, but it will have an amateurish appearance. Be sure to select two or three key eye-catching colours to use throughout the design. Typography has always been a powerful visual tool, with the ability to create personality, evoke emotion and set the tone on a website all while conveying important information. And now, because device resolutions are getting sharper and easier to read, web design trends see a huge increase in the use of custom fonts. Before developing your website, it’s important to consider developing a brand style guide. Your brand style guide communicates your company’s design standards to your whole group. 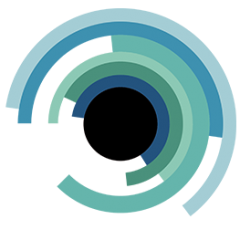 Having this document to reference for expected standards will make the lives of your designers, writers, and developers much easier and give them a solid framework to use as a starting point for their work. This style guide will go a long way in the development of custom fonts and key designs aspects of your site. Typography can be visually appealing, but using distracting fonts can make your reader not focus on what you are trying to say, and instead they could become annoyed with your website. When this happens the web visitor is gone. Combining bold typography with a minimalism twist is your winning ticket to look trendy. As browser technology advances, more websites are moving from static images and finding new ways, like animations, to engage users in their communication approach. Animations can give your site more life by providing more information that is not boring to see or read. These images have interactive options and make the user more engaged on the site. Everyone wants the website or app that they’re using to be fast and easy to use. Designs that are time-saving and load faster are becoming a necessity as web visitors now have an even shorter attention span. Web designs that are visual and user friendly makes the user experience more pleasing and appealing. Taking out unnecessary content and images makes any visitors experience more satisfying and not overwhelming. Web design trends show a movement towards ease and legibility to truly grasp the end user’s attention. Great web designers will make content with appropriate, uncluttered, negative space, making it easier to read and engage. Trends come and trends go, but underlying web design principles remain. Keeping these pillars in mind when creating designs will help you push the limits and express yourself in a unique way without going too far and confusing your visitors. For web design inspiration, visit our gallery showcasing some of our top web designs.